Last year I returned from Nepal and reported that I may have ‘discovered’ the easiest 6,000m peak in the world to climb (in much the same way Columbus discovered America, in that it wasn’t lost and somebody had been there before me). 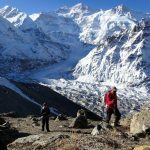 In terms of ease, the peak in question – Drohmo Ri – rises 800m above Pangpema, the last teahouse on the Kangchenjunga base camp trail. There was so little snow that we hiked up in approach shoes, and had need for neither crampons nor an ice axe. It wasn’t even particularly cold, and those from the north of England or Canada could probably do it in just a thick pair of underpants at certain times of the year. It took us just 3½ hours to walk up to the summit from the teahouse, and another two hours to scuttle back down again. Sadly, in one important respect, Drohmo Ri didn’t fit the bill. We took out our GPSes on the summit and calculated a disappointing altitude of 5,958m. You would need to build quite a big tower on the top, and not even Zebedee would be able to jump high enough to get his bonce over the magic number. In other respects Drohmo Ri wasn’t quite so easy. In order to get to Pangpema, it was necessary to trek for eight days, braving forest fires and goat-infested campsites in the process (and if you’ll forgive the pun, I’m not kidding). Then someone pointed out to me that there was a place in the world where a cornucopia of easy 6,000m peaks could potentially be climbed on a day hike from the road. This place was the Puna de Atacama in northern Chile, a high desert plateau which sees so little rainfall that the peaks are bare of snow for much of the year. In places the plateau rises over 4,000m; a metalled road crosses the border into Argentina and the sands of the desert can be accessed by 4WD vehicle. The peaks themselves tend to be gently rolling and small in scale, rising little more than 2,000m above the plateau, and often less. 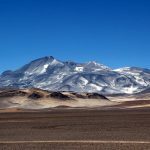 Of the 102 peaks in the South American Andes over 6,000m in height, no fewer than 39 can be found in the Puna de Atacama region. 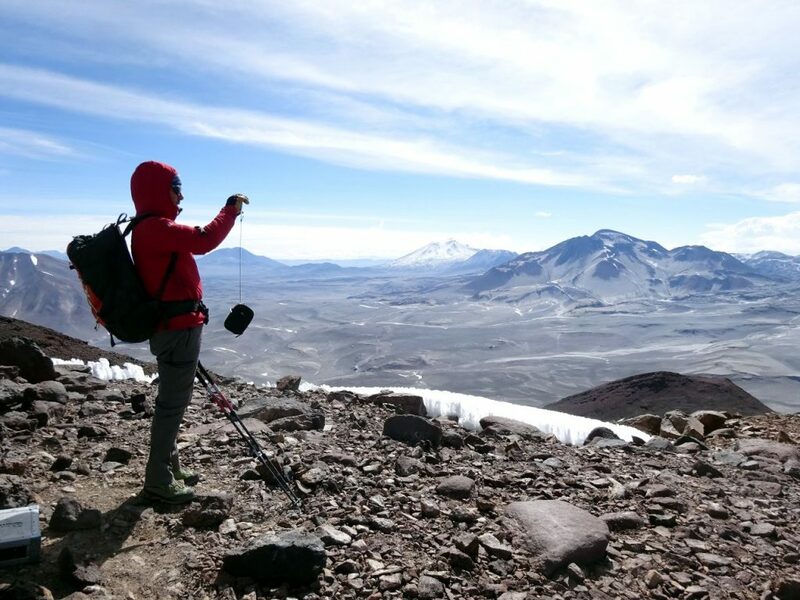 I don’t know how many of these are easy day hikes, but we chose to climb one of them, Cerro Vicuñas, named after the smallest of the Andean camelids, as part of our acclimatisation programme for Ojos del Salado, the world’s highest volcano. It is likely that Cerro Vicuñas is one of the more popular peaks due to its proximity to Ojos. 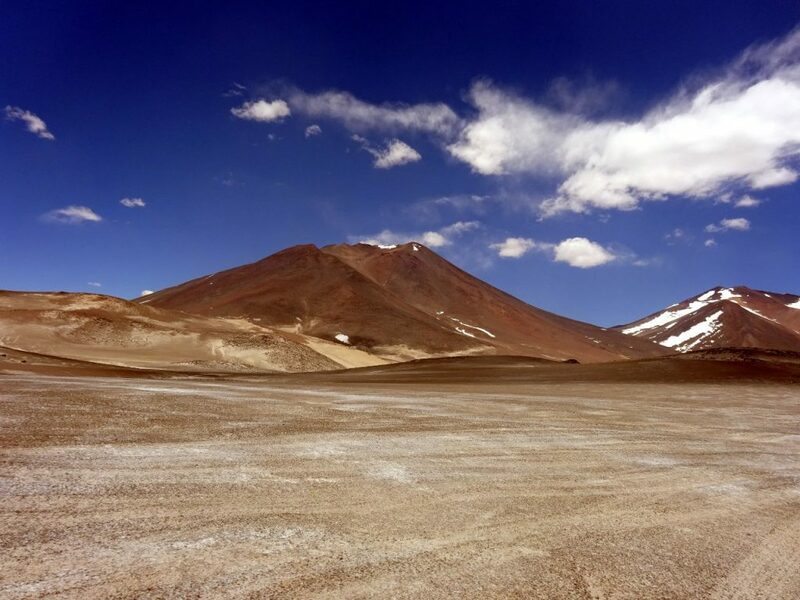 It’s the most prominent peak from Atacama base camp, rising across a plain in the form of a dark red cone. It’s little more than a 5-hour drive to get there from the nearest town, Copiapo, close to the Pacific coast. You wouldn’t want to shoot up straight away though, or you might get a nasty headache. 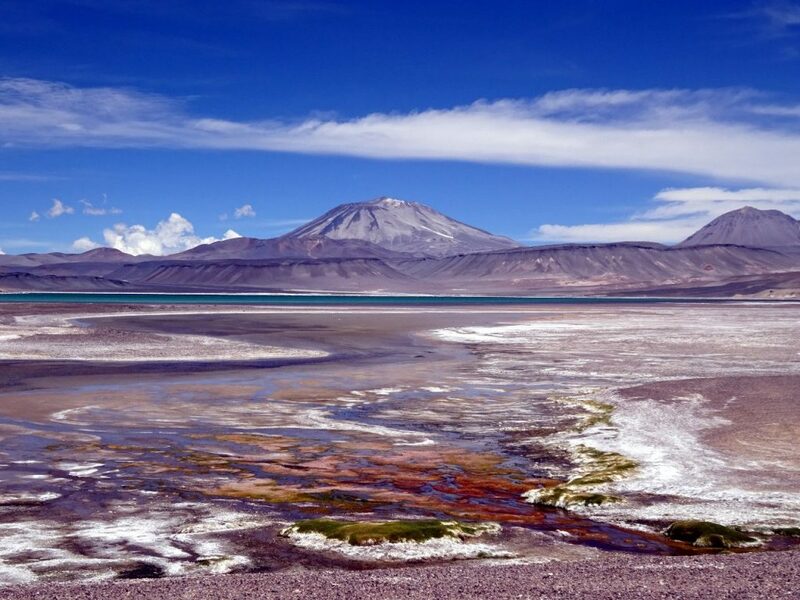 We spent a few days acclimatising in and around the salt lakes of the Atacama Desert. We camped in a shallow gully at 4,800m, just a few kilometres off the main road. 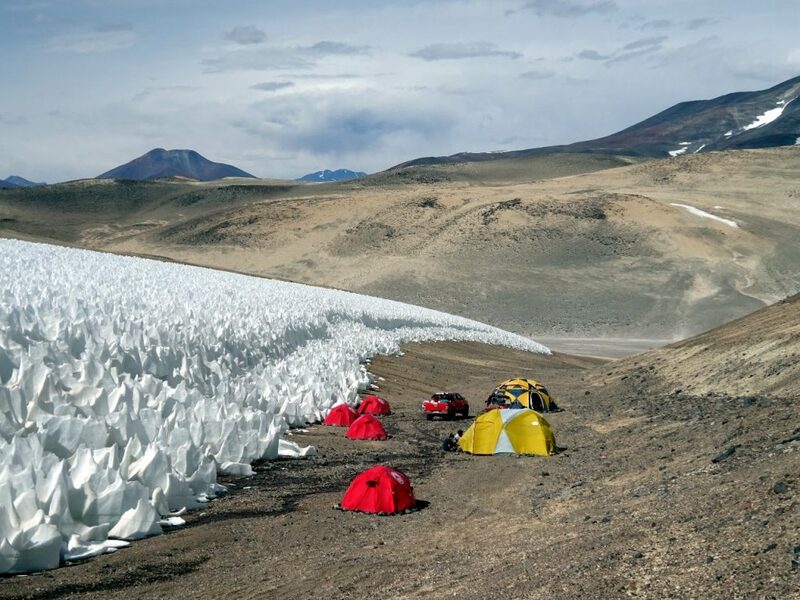 Our camp was situated beneath a sheet of penitentes (the curious temporary pinnacles of snow that are common throughout the Andes). This meant that we had the rare benefit of running water. I was climbing with the British mountaineering company Jagged Globe, and mountain leader Chris Groves improvised a trail up the mountain the following day. We started in the dark at 4am and crossed a plateau just above camp. The previous afternoon, Edita and I had climbed up to this plateau and spent half an hour or so surveying the scene. It was a landscape the like of which I have rarely experienced. I have been in deserts on a number of occasions before – in Morocco, Egypt, Pakistan, India and Tibet, for example – and in other places where the land is far drier than the lush, temperate climate we are accustomed to in Europe. But this was beyond comparison. For a start, I could see further than I can in most other places on Earth, including mountaintops. There was not a single tree or scrap of vegetation in sight. The land was open, without deep valleys to enclose the view, and the mountains were isolated, rising up at intervals. The air was clear, the sky a deep, almost surreal blue, and the clouds were endlessly fascinating. I had wanted to visit the Puna de Atacama for many years, and it didn’t disappoint. Of course, we didn’t see any of this as we crossed the plateau in the dark, but I knew that when daylight crept into the scene we would be high on Cerro Vicuñas and the view would be even better. Edita, Chris and I were a little quicker than the rest of the group. We reached the summit after 5½ hours. It was considerably more strenuous than our ascent of Drohmo Ri a year earlier, but its altitude did exceed the magic number. Cerro Vicuñas is marked on maps as 6,067m. My GPS read a little higher than this: 6,090m. There was a trail marked on our map. I don’t know whether it existed, but we never found it. In terms of trail finding, Chris didn’t have many options to choose from. There was kind of a ridge, but it was broad and not very distinct. He kept to the right of this, on a side of the mountain that was entirely covered in loose rock like a crudely installed slate roof. There was the occasional diagonal ledge to follow, but it was a real old slog. Towards the summit, the rocks decreased in size and eventually became scree, which slid from beneath us with every step. Whether this was the best route was a moot point. Our local guide Paula took the slower party along a route not very different to Chris’s beneath the right side of the ridge, but she later told us that she usually took clients to the left of the ridge where the route is a little easier. When we asked why she hadn’t directed Chris to keep further to the left she said that the route we took was good practice for Ojos del Salado (there is a 50m section of this crappy loose rock just below the summit of Ojos del Salado – by contrast on Cerro Vicuñas we must have climbed well over 500m of it, so there’s practice and overkill). On the north-east side that we ascended, there is a small false summit about 100m lower than the main summit. We crossed a shoulder of this and dropped another 50m to a small col before zigzagging up a scree slope to the main summit. The summit itself is a surprisingly attractive curling ridge, perhaps the remnants of an old volcanic crater. The Puna de Atacama is famous for its high winds coming straight off the Pacific Ocean. There was an all-embracing wind up there of a kind I’ve not experienced before. I was sure that a rocky promontory just beneath the summit would provide some protection from it, but no matter how many times I circled this promontory I couldn’t seem to get out of the wind. They say that it you stand atop Mount Kenya on a clear day and are able to see Kilimanjaro 250km to the south, then that’s about the furthest in the world that you can see with the naked eye. I don’t know if we could see that far from the summit of Cerro Vicuñas, but it felt like a looooonnng way. The landscape was full of mountains. Behind us a silver-grey plateau of folded sand dunes lay between us and the three summits of Cerro Tres Cruces (6,748m), the fifth-highest mountain in South America. Closer still was our next objective, Ojos del Salado, the second-highest in South America and the highest volcano in the world. This is a mountain that is so ludicrously wide and sprawling that it doesn’t so much as tower over everything else as turn them into midgets. It probably is the closest thing on planet earth to Olympus Mons. Two rows back from Olympus Mons Ojos del Salado was another curious phenomenon. Incahuasi (6,621m) on the Argentine border is the tenth-highest mountain in South America and we have no idea who made its first ascent. This is because there are Inca ruins on its summit, which means that many people must have climbed it hundreds of years ago (in spite of this, I expect that some day some clown will park at the bottom, pull a sledge up it and claim to have made the first unassisted and unsupported ascent). As if to underline Incahuasi’s mystical qualities, it was the only mountain in the whole scene whose summit was significantly snow-capped. It had been bare the previous day. The snow had fallen overnight and had somehow avoided every other mountain in the area. A couple of days later Incahuasi was bare again. By the time we’d found a more sheltered spot to eat our lunch, we spent about an hour on the summit. It took Edita and me three hours to get back down to camp, making for a 9½-hour round trip. That’s pretty easy as far as 6,000m peaks go. We could have made it even easier. 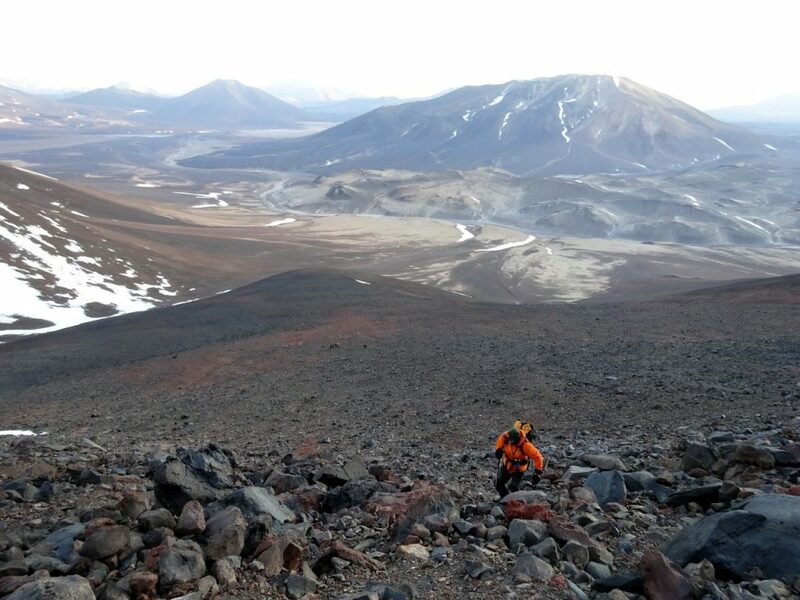 Chris waited to help the rest of the group to the summit, then found an alternative way down which involved running down a giant scree slope on the north side, down a gully which divided the main and false summits. I had also fulfilled a dream of climbing a 6,000m peak in approach shoes and thin liner gloves. I wouldn’t recommend this – stouter boots and gloves would have been more comfortable. My fingers and toes had been a little cold on the way up, but nothing I couldn’t cure by wriggling. I don’t know which, if any, of the other 38 six-thousanders in the Puna de Atacama are easier to climb than Cerro Vicuñas (I do know that Ojos del Salado isn’t one of them). 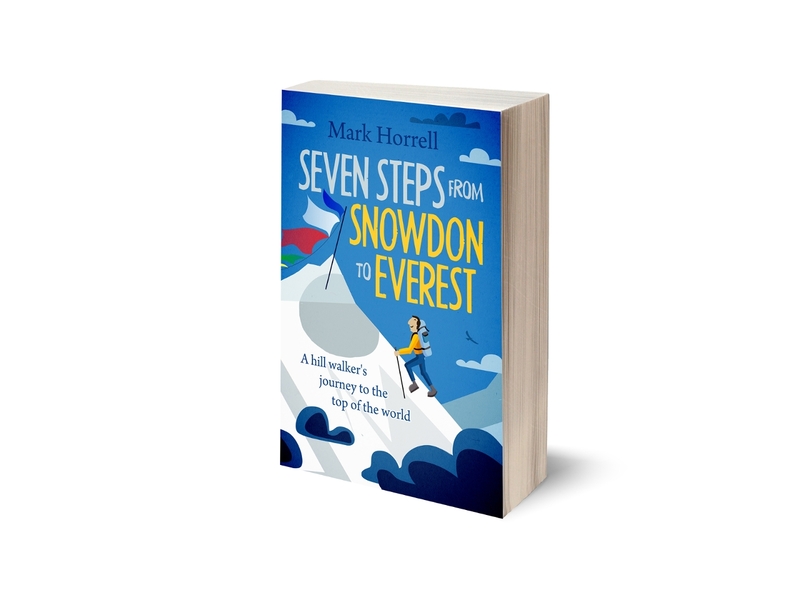 The jury is still out on what is the easiest 6,000m peak in the world to climb, but I’m honing in on the title holder. Looks fantastic – and what a landscape! Ah – this must be one of my all-time favourite landscapes. We climbed Licancabur which was just short of 6000m (5916m according to Wikipedia). It was tough since it was my first ever climb to anything over 4600m but yes, we managed it as a day hike. 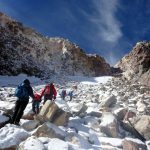 And it really helped with acclimatisation for climbing Huayna Potosi a couple of weeks afterwards which was in fact my first 6000m climb. Wonderful memories! Anyone who makes it up a 20,000 foot mountain is a proper mountaineer, right? So I wonder what the easiest 20,000 foot (6,096 metres) mountain is. I made it up Kili and I still fancy making it to “proper” mountaineer status, preferably by doing the easiest one in the book. This blog post suggests it’s somewhere in the Atacama, which I visited in 1998, and I’d love to go back to. Check out Chumser Kangri and Lungser Kangri (6,666m) in the Rupshu region of Ladakh in the north of India, near Tso Moriri lake, too. Both quite easy to get to, if acclimatized properly, via jeep ride to Korzok. 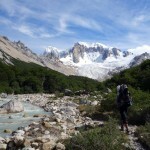 Climbing and navigation are super easy, just crampons and trekking poles, or an ice axe, and you are good. The only problem are the permits, the area is within the Inner Line of Control near the India/China border. Thanks, I will have a look at those suggestions. Hi Mark. I think easiest 6000 peak is Uturuncu… the road, when not covered by snow, ends at 5700 mt ! Thanks, Dawico. I’ve googled it, bookmarked it, and added it to the to-do list.